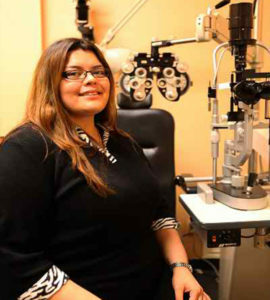 Our Optometrists are Therapeutic & Glaucoma certified. They specialize in Routine eye care, Contact lens and gas permeable fittings, Bi-focal contact lens fitting, Kerotoconus fittings and Ortho-K fittings. Our Doctors work very closely with Focal Point Vision, Parkhurst Nuvision, and TLC centers co-managing Lasik procedures which includes pre-op and post-op care. 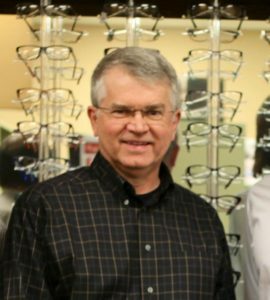 Dr. Anderson is a graduate of Baylor University and The University Of Houston Optometry School and has been in practice since 1982. Edward Carl Elder, OD is from San Antonio and is a 1977 graduate of Oliver Wendell Holmes High School. He participated in several sports and was an All-City Defensive Back. He has been inducted into the Oliver Wendell Holmes Hall of Honor. He is involved in the community and serves on several boards. 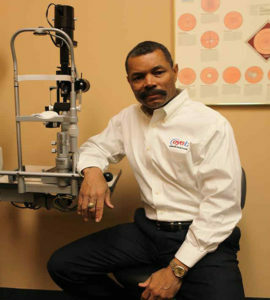 Dr Elder is a member of the American Optometric Association, The Texas Optometric Association, and the Bexar County District Optometric Society. Dr Elder is married to Bonnie Prosser Elder, who is chief counsel at Via Metropolitan Transit Authority. They have one daughter Marissa, who is a first year student at UT Austin, Tx,. 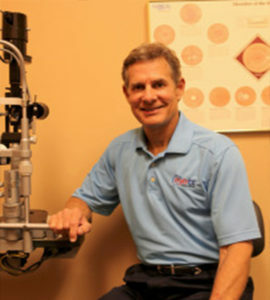 In his spare time Dr. Elder enjoys spending time with his family and friends. His hobbies include snow and water skiing, wake boarding, basketball and golf. We are very proud to announce that our own Dr. Edward Carl Elder will be receiving Pillar of Caring by the 20th Northside Education Foundation. Dr. Elder has continually exceeded all expectations in the realm of patient care and in the community. We are happy and proud to be a part of Dr. Elder’s private practice. Caring, compassionate, empathetic, unselfish. Dr Bell was born in Wichita, Kansas. 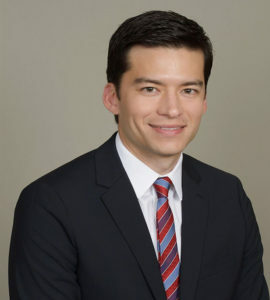 He graduated from Monterey High School in Lubbock and is a graduate of Texas Tech University where he received a Bachelor’s degree in Mechanical Engineering. Upon graduation, Dr Bell moved to Houston and worked as a NASA Engineer at the Johnson Space Center. He was a member of the engineering team responsible for the operation of the Space Shuttle Simulators used for Astronaut crew training. Dr. Jessica Saldivar-Alvarez, O.D. was born and raised in San Antonio, Texas. Dr. Saldivar-Alvarez graduated from Burbank High School and received her Bachelor of Arts Degree in Biology from Our Lady of the Lake University in May 2006. She received her Doctor of Optometry Degree from the University of Houston College of Optometry in May 2010. 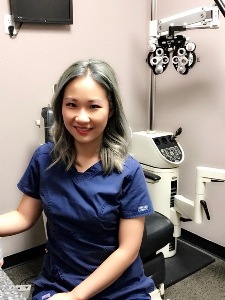 She has been practicing at Eyetx since October 2010. Hang Jiang, O.D. was born in China but raised in Georgia for most of her life. Hang Jiang received her Bachelor of Science Degree in Biology from Georgia State University in May 2011. 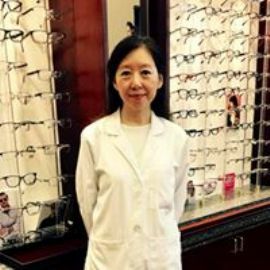 She received her Doctor of Optometry Degree from the University of Incarnate Word Rosenberg School of Optometry in May 2016. During her internship she completed rotations at the Mcwethy optometry clinic at Fort Sam Houston and the VA Hospital in Fayetteville, NC. During her spare time Jiang enjoys working out, music, trying new restaurants and traveling. May Ando, OD was born in Chicago, Illinois and at the age of 2 years old, her family moved to California. She has lived in the San Francisco Bay Area nearly her whole life, until the summer of 2015, when she came to San Antonio due to her husband’s job transfer. She graduated from Washington High School in Fremont, California and received her Bachelor of Arts degree with a major in microbiology from the University of California at Davis. We offer our employees an enjoyable, positive atmosphere; while also offering fair wages for their efforts and reward them with bonuses for exceptional achievements. In hopes that we will keep these principles in mind as we carry out their daily responsibilities. © 2009 EyeTx, Inc. All Rights Reserved. EyeTx logo property of EyeTx, Inc.